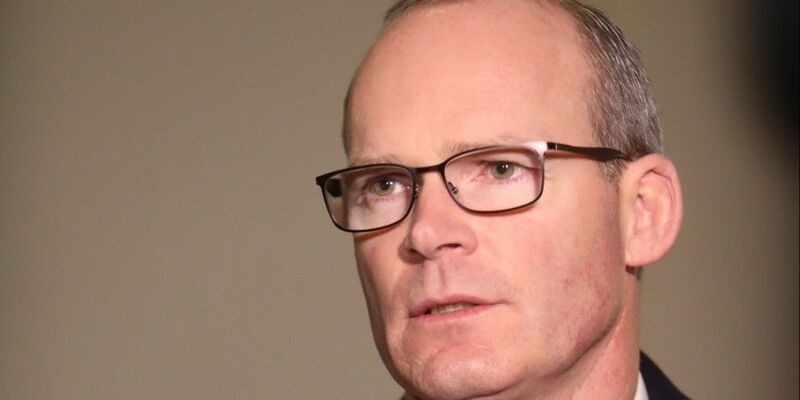 The Tánaiste Simon Coveney has said Ireland is not putting plans in place for border infrastructure, despite mounting concerns over a no-deal Brexit. British Prime Minister Theresa May is facing a vote of "no confidence" in her government, after record defeat on the withdrawal agreement. It was rejected by 432 votes to 202 at Westminster on Tuesday night. It was the biggest House of Commons defeat in nearly a century. The Government has said it "regrets" the outcome, and that the result added to uncertainty and "increases the risk of a disorderly Brexit". In a statement, the Government urged the UK to set out how it proposes to move forward. "We will then consider what next steps to take in consultation with our EU partners." But Mr Coveney told Jonathan Healy on Pat Kenny that there is no work underway on the border. "Certainly we're not preparing for border infrastructure. "What I have said is that the way in which we provide guarantees that no border infrastructure between the two jurisdictions on this island will re-emerge as a consequence of Brexit is to support the deal that we spent two years negotiating, that the British prime minister also stands over, we stand over and the EU is in complete solidarity on. "And I don't think it's helpful for us to start talking about other ways of doing that". Asked if the Government was doing anything in the border region, Mr Coveney said: "Nothing to do with the border, that's for sure". "The obligation is on those that actually argue against the backstop to actually talk about alternatives. "And what some would like is to move away from the responsibility that London has on this issue and put it all on Dublin - and we can't allow that to happen". On the next steps in Brexit, Mr Coveney said: "The prime minister has a hell of a job on her hands now. "She faces a motion of no confidence today which I believe she'll win - but then she has said she will come forward with a new approach to try to resolve the Brexit questions by Monday next." "We've known for quite some time what the parliament doesn't want - but as (Theresa May) said last night we still don't know what a majority in the parliament actually do want". He said Ireland must hold its nerve in the coming days. "I think we have to show some patience here for the next few days, time is short, but the prime minister has said that she will be back to parliament with a new approach by Monday... so I think what Ireland needs to do for the next few days is continue to plan for a worst-case scenario - which is a no-deal Brexit. "And I think we need to hold our nerve, allow the process to take its course in Westminster for the next few days". He also said Ireland 'would not be an obstacle' to any British request for an extension of the Brexit process. "But I think... if the British government is going to ask the EU to accept an extension of Article 50, I think there needs to be a plan with that - because I think the EU needs to understand what Britain is now asking for".